Please select a question, or "+" or "-" symbol, from below to see the answer. 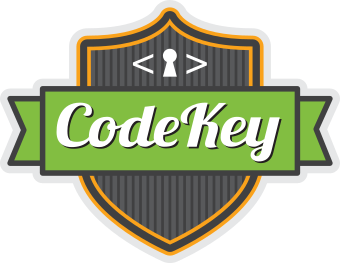 CodeKey is a Michigan-based organization promoting computer science, software programming and STEAM-related topics to children. CodeKey is comprised of parents, educators and tech industry experts who care about educating children in the field of computer science. CodeKey is an after-school coding club run by teachers and parents that uses videos, animated characters and Lego-like blocks of code to teach kids how to program computers and create software. CodeKey activities are age-appropriate, self-paced, self-guided and provide a stepping stone to the more advanced world of computer programming. CodeKey provides a platform for teachers and parents to offer an after-school coding club for kids. There is no cost to the school to set up the program. CodeKey is funded when parents enroll their students. How much does CodeKey cost to setup at our school? There is no cost to the school to setup the program. There is nothing to pre-purchase or commit to. There are no contracts to sign. What is needed to setup CodeKey at our school? You need a club leader, location, computers or Chromebooks and access to the internet. What ages or grades are supported? The curriculum supports students in K-8 and is self-paced and self guided. How long does the entire CodeKey program last? The schedule is defined by the club leader, however CodeKey can run year long. The curriculum, originally designed and developed by MIT (Massachusetts Institute of Technology), uses short videos, animated characters and Lego-like blocks of code to teach students how to program computers and create software. The curriculum is self-paced, self-guided, so the students go at their own pace. If a student misses a class, it's no problem, they can pick right back up where they left off with the next class they attend. Also, they are able to access the class from home. Who designed and developed the curriculum? Student’s use CodeKey’s learning management system that utilizes an interactive curriculum software program first developed by the Massachusetts Institute of Technology's (MIT) Media Lab. What is "coding" and why should my student learn to code? Learning to code is important because technology is everywhere and technology needs code to run and function. Learning to code is similar to learning a foreign language, or perhaps more specifically a family of foreign languages. What equipment is needed by my student(s)? Students will need headphones or earbuds to listen to the curriculum videos and animated characters. In some cases, your student will need to bring their laptop or Chromebook. Please check with your club leader. What happens if my student misses a club session? The club’s activities are all self-paced, so if your student misses a session or two, they can easily pick right back up where they left off next time they attend. The cost for your student can be found on your school's Enroll page. You will be billed monthly for the number of sessions that occured in the previous month. I would like to help out and volunteer, where can I sign up? Please contact the club leader at your school. I have additional questions, who can I speak with? If you are interested in setting up CodeKey at your school or enrolling your student in an existing CodeKey club, please select an option from below.